Alex Box was in with me last night to speak to the NYC bloggers about the new collection and to host a Q&A session with them. It was great to put faces to blogs! AC: What was the inspiration behind this collection? AB: It’s the idea of the body having an inner energy, a kinetic energy. 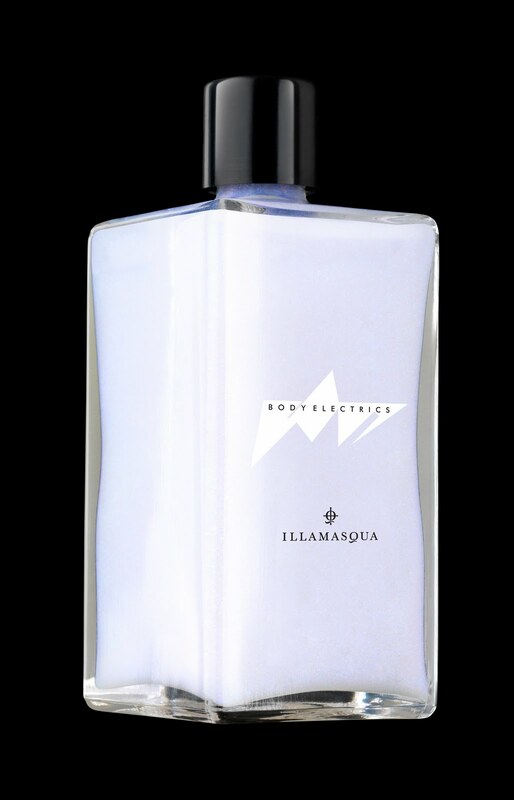 I wanted to create a collection that would highlight the contours of the body and the fluidity of dance movements. By igniting the skin and accentuating the twist and turn of the body in motion with a myriad of different colours and finishes I think we have created the most beautiful collection yet. I am immensely proud of Body Electrics. AC: What are your favourite products from the collection? I love all the iridescent finishes that we have created. Illumine Oil in ‘Volt’ is a completely unique product that captures a violet shimmer within a delicately fragranced body oil. 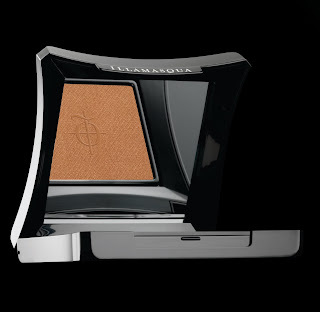 It is stunning finish that will compliment extremely pale skin and yet also look fantastic on darker skins. 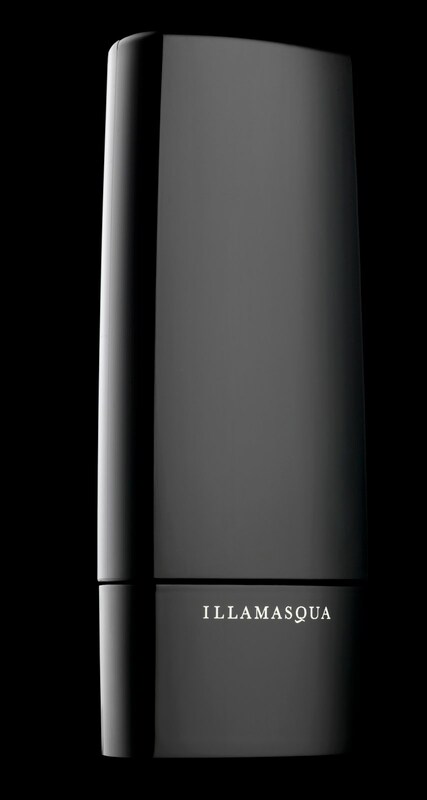 We were inspired by the New Rave sub-culture with this product as it is totally a night-time must-have. Slick over limbs and watch the light dance off your skin. The iridescent story continues with Pure Pigment in ‘Static’ [part of the Sephora USA SS10 collection] – this is like a powder version of ‘Volt’ with a variety of different sized particles in pink, blue, silver… just stunning. As perfect for winter [it made up part of the AW09 Dystopia collection in the UK] as it is for Summer, it’s so versatile in it’s uses. I love to press it over Cream Eyeshadows to catch the light, or on the cheekbones to define, or even dusted over wet Nail Varnish. 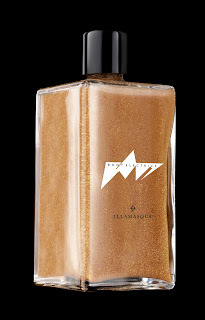 Our gorgeous Gleam Cream [available w/c 21st April] is set to be a sell out, I can see it! If everyone falls in love with it like Julian [Kynaston] and I have, this is going to become cult. The pearlescent and iridescent pigments can be used sheerly as a beautiful luminous primer, or built up to create a full on sheen. 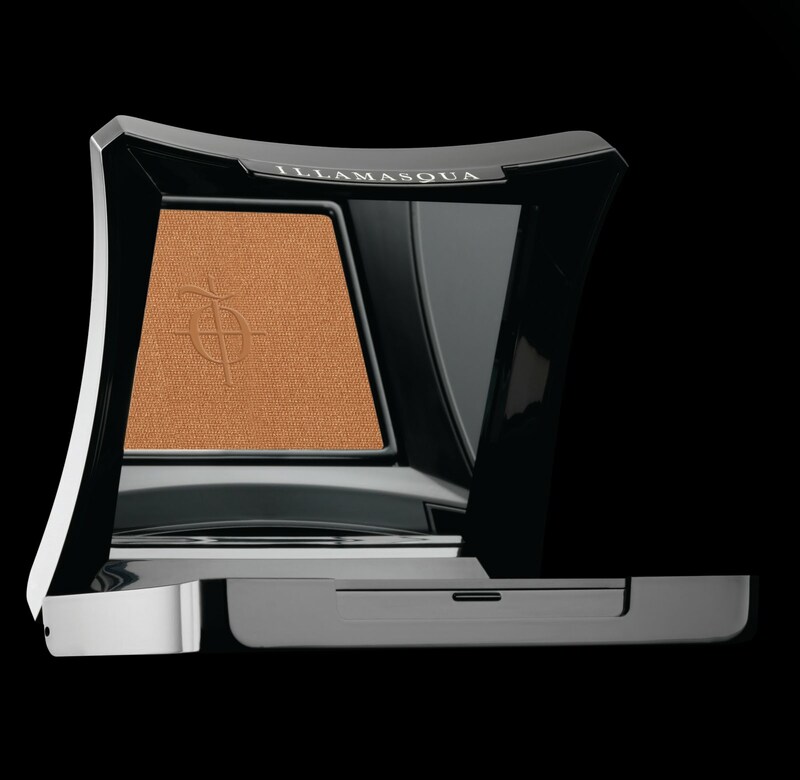 It’s both lifting and brightening – what this collection is all about! The iridescent pieces are completed by Nail Varnish in ‘Prism’. It has a blue sheen shot through it, like a bolt of electricity. It can used on it’s own but looks particularly beautiful layered on top of the other two Nail Varnishes in the collection; ‘Force’ [deep blue] and ‘Jo’Mina’ [bright lilac]. Sophy [Robson, who created the beautiful nails for our collection] stole four of these, so I think it’s safe to say she is a big fan! AC: What else can we look forward to in this collection? 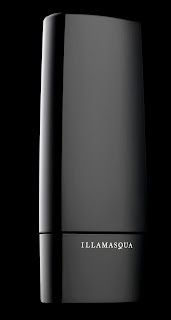 Another Illumine Oil, Pulse, is set to do just that – get pulses racing. 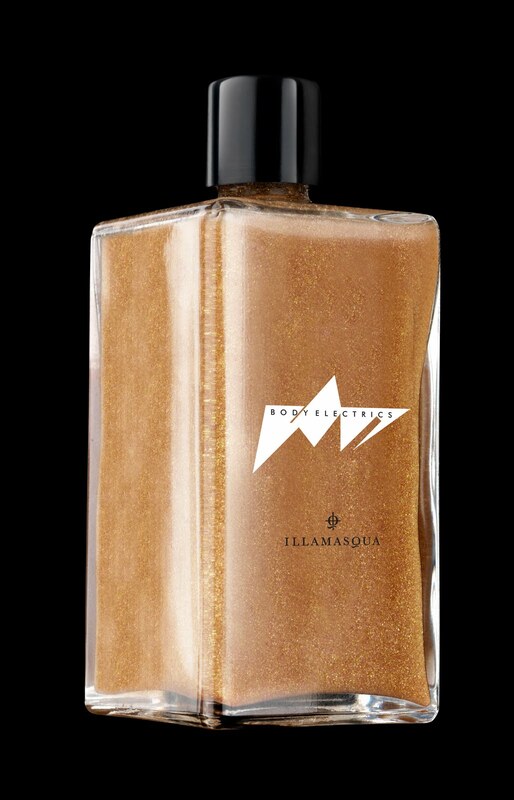 It’s a beautiful bronze shimmer. You have no idea the amount of blind testing that we did with this product and the passionflower seed oil gives it a most delicious, evocative scent. The colour is like no other ‘bronzing’ proiduct in that it has a myriad of coloured particles in it that gives it more of a 3D finish than anything I have ever seen before. 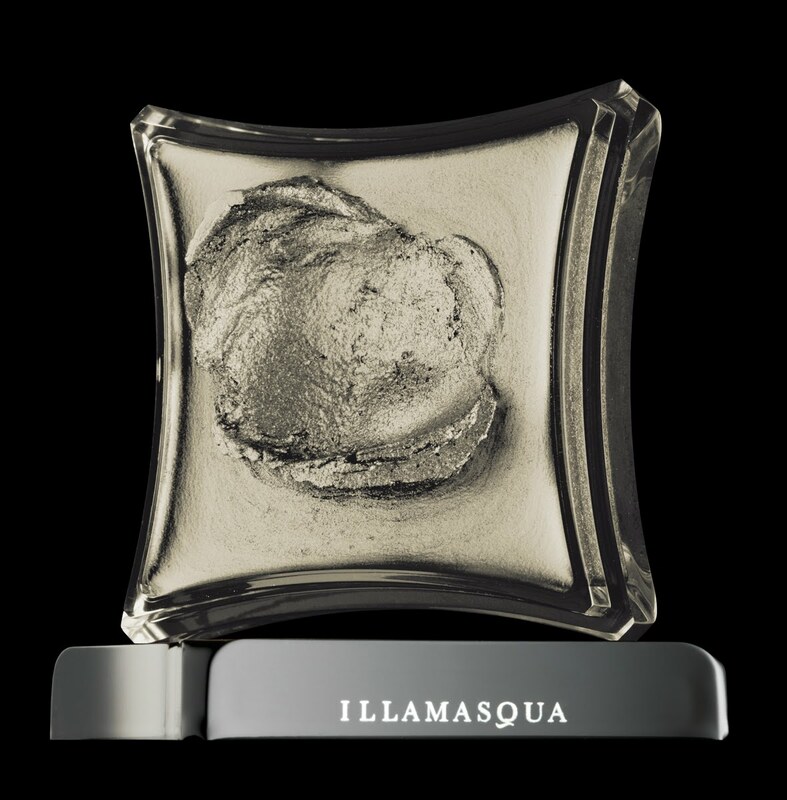 Liquid Metal in ‘Surge’ continues the Liquid Metal quadrilogy [is that a word?- AC] and can be purchased seperately on as part of a fabulous Liquid Metal palette. As a working make-up artist, it is so useful to have all these four in one palette. With finishes that work as well on cheeks, lips, and eyes as they do on the body, this latest addition to the cult Liquid Metals is a stunning shade of pewter. Due to popular demand, we have also created individuals of our Bronzing Duos; ‘Writhe’ is the highlighter and ‘Burnished’ is the deep, mayan bronze. 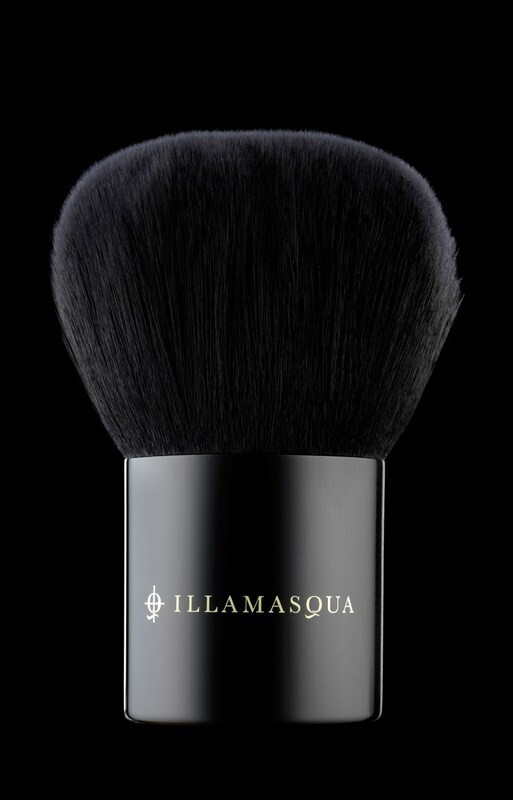 Finally, one of my favourite pieces from the new collection is the Kabuki Body Brush. 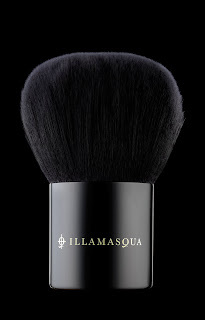 I love using this brush for buffing in Powdered Metals [part of the Sephora USA SS10 Body Electrics collection] This brush is like my new pet; it is so soft! Each hair is lightly coated with a special anti-bacterial agent to keep it supple. AC: Who was the team that helped create the images? AB: Warren Du Preez and Nick Thornton [read their interview here] are two of the top photographers in the fashion industry. Their mutual vision and exploration of the body in motion, light and incredible, energy was exactly what I had envisioned for creating an avant-garde visual campaign. Sophy Robson created the stunning nails for the shoot and Katie Shillingford, the acclaimed stylist, styled our models. Finally, the lovely James Pecis blew us away with his interpretation of the Body Electrics brief; candyfloss blonde hair and structured brunette. Beautiful. We created a collection of new formulas, new textures and new and unique shades that I believe were previously unavailable on the market. 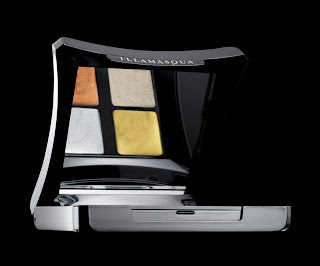 Whether you are a professional make-up artist, or just making your first steps in to the world of make-up, Illamasqua is here to surprise and delight you with our unprecedented range. I hope that everyone enjoys the range as much as I enjoyed making it!